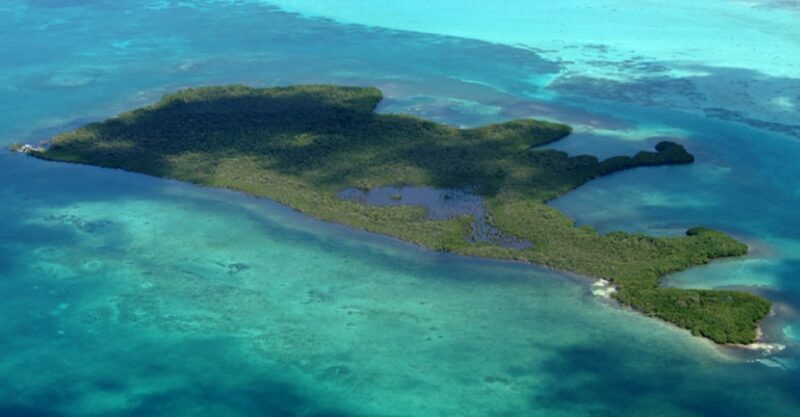 Searching for large islands for sale in Belize? Spanning 75 acres, this is one of the more substantially sized islands for sale in the country. The island lies at the top of to the Belize Barrier Reef close to Cross Cye, Sandfly Caye and Hutson Caye approximately 12 miles off the coast of Dangriga Town in Stann Creek District. The island is covered in lush greenery and offers breathtaking views of the surrounding turquoise waters. Fringed by red and white mangroves, the island would be ideal for an eco-project with a conservation element to it or a private development. Adequate materials are available nearby for filling.